James Borelli, C.Ht. Certified Hypnotherapist in Los Angeles | James Borrelli, C.Ht. James Borrelli is a Board Certified hypnotherapist with a full-time practice in West Los Angeles that provides a wide range of hypnotherapeutic services to individuals with medical, behavioral, and motivational issues. 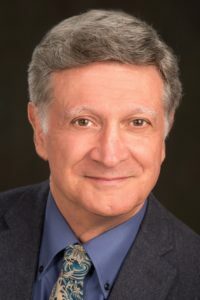 Mr. Borrelli is a graduate of Boston College and the Hypnosis Motivation Institute, where he received his diploma in Clinical Hypnotherapy with Honors. The Hypnosis Motivation Institute is the first nationally accredited college of hypnotherapy with an extensive academic curriculum of 720 hours of training, including six months of clinical internship. A diploma in Clinical Hypnotherapy is awarded upon completion of the program, followed by certification by the Board of the Hypnotherapists Union to achieve the title of Certified Hypnotherapist. In recent years, Mr. Borrelli has been very fortunate to receive ongoing referrals to work collaboratively with several prominent physicians, psychotherapists, and psychiatrists in the greater Los Angeles area.